Nutri-Systems® Electric Thermal Bags – All the features of our standard bags, plugged in! 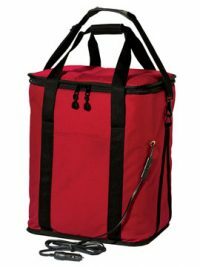 High Efficiency ELECTRIC Bags come in SEVERAL CONVENIENT SIZES. 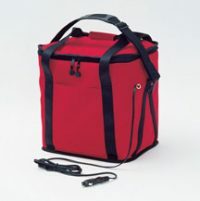 OUR ELECTRIC BAGS DELIVER MEALS WRAPPED IN AN ENVELOPE OF STEADY HEAT! PLUG INTO YOUR VEHICLE OR WITH ADAPTOR, A KITCHEN OUTLET. ✓ Deliver every meal as hot as when you served it. ✓ Stable heat of 160° when the bag is zippered shut. Built-in, moisture-safe fully insulated electric heater. Top and front pockets for routing slips & cord storage. Can be used with an AC to DC Power Converter (6 amp).